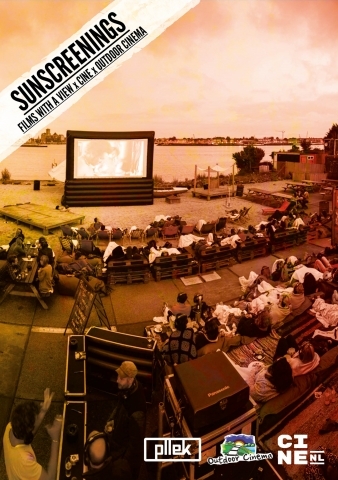 In collaboration with Cine and Outdoor Cinema, Pllekwill be showing a film on the beach every Tuesday evening from June to September, provided weather forecasts allow this. To be sure of a headphone, you can download a free ticket online. Pllek will always keep some headphones behind for walk-in, so come by on time and they’ll probably have some left for you. If you reserved an headphone, you can only pick it up between 20:00 – 21:00, after the headphone will be given away. The headphone costs 5 cash. This year Cine makes a selection of movies each month. You can vote for your favorite. The movies will be shown the next month in order to the votes. If they have to cancel a movie, it will be scheduled the week after. Pllek can only screen a movie if the weather is good. So no wind, no rain. Therefore they decide whether to screen or not on the day itself. So please check the agenda on our website or the Facebook event on the day itself around 5pm to see if the movie is cancelled due bad weather.